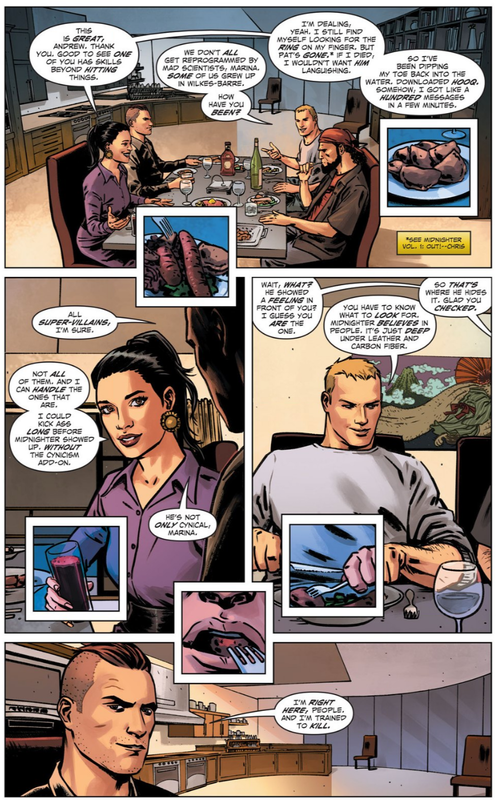 In Midnighter and Apollo #1, the ultra-strategising martial artist and his solar-powered juggernaut boyfriend have friends over for dinner. When their guests make fun of Midnighter for actually showing emotions, he reminds them that he can end their lives in seconds. He's only joking... this time. 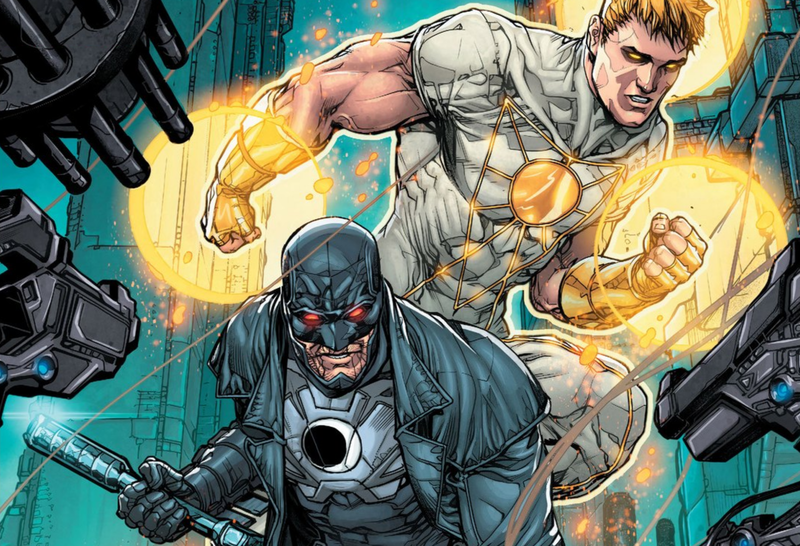 The new Midnighter and Apollo miniseries kicked off last week, picking up a little while after the end of the recent solo Midnighter series. Written by Steve Orlando with art by Fernando Blanco, Romulo Fajardo Jr. and Josh Reed, issue #1 reunites the Warren Ellis-created Wildstorm characters who are analogues for Batman and Superman, showing them fighting evil and being tender with each other. When I spoke with Orlando about his ongoing Supergirl title a while back, he was gracious enough to talk about Midnighter and Apollo, too. Our talk about the World's Finest Couple is below. I loved the last volume of Midnighter. If I can be totally blunt, I was mad at myself for not being able to write an appreciation before that series went away. So, I'm sorry about that. 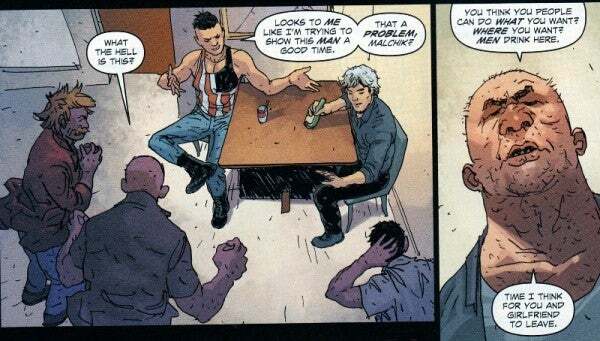 One of the things I love about Midnighter so much is that the stereotypical moments with gay superheroes — "You're gay! And we're going to give you grief or hassle you!" — never happens. The book presented Midnighter as this amazingly well-adjusted character who just happens to have a fight computer in his brain and loves to break the bad guys' bones. Can you tell me where that came from? He didn't seem like a sadist, which is kind of the way the character was interpreted before. Orlando: Well I think that for the first question, why do we never have that [scene], Kitty Pryde pointing at the camera "You're GAY?!" type scene, is because we've moved past that. Comics are supposed to show us a world where we want to live in. There's drama in them, but... that story's been told. We don't make people feel good by addressing a scene where someone "others" them. Because they get that every day. I think it's important — but there is one scene when he goes to Russia, it's a pretty long scene, and then throws someone through a table, you know? That's for the panic crowd. 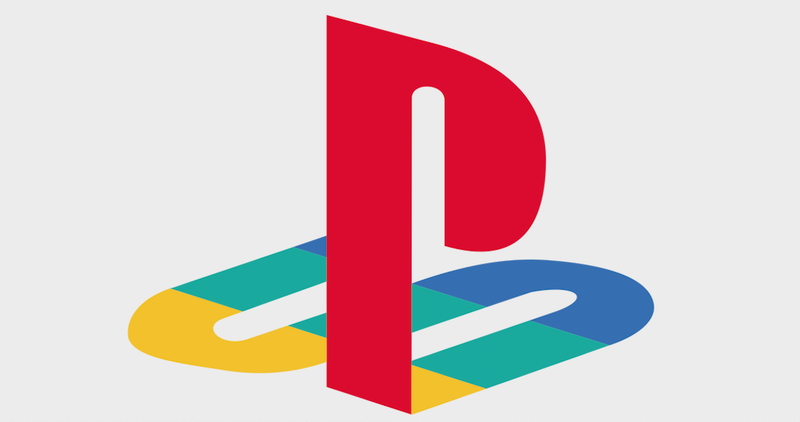 We've made peace and we've moved on. The secret of that scene is a swipe from the personal experiences of Christopher Marlowe — a gay writer and maybe English spy and maybe one of the people claimed to be Shakespeare. There's a biography by Anthony Burgess, which includes a scene where he's in this pub in 1700 and he puts his hand on this guy. These English "bros" of the 1700s come over, and he sticks his fingers in their nose and slams them to the table. Then walks out. 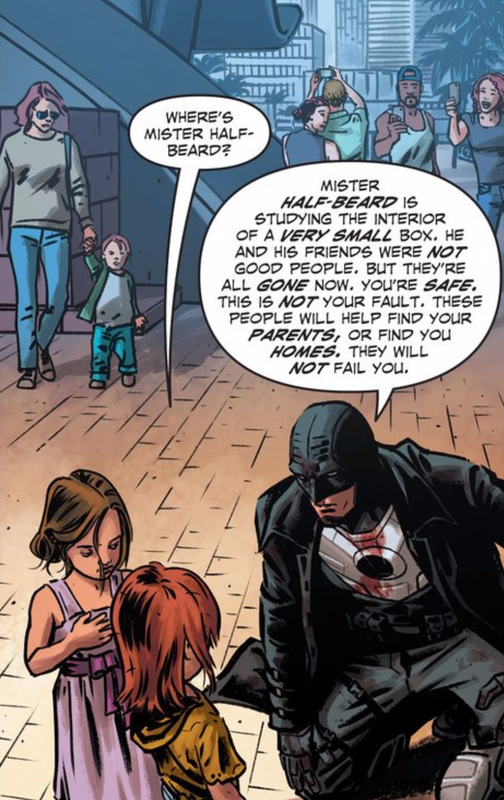 And I was like, "THAT'S Midnighter." That was originally in my original pitch and that's why that whole Russian scene is there. The question I used to get before the book came out was, "How much quote-unquote 'gay content' are you going to put in this book?" Presumably, [they meant] relationship and sexual content. And the answer was, "We're going to put as much in as you would see in a quote-unquote "straight book." You'll see as much as you did in Grayson, as much as you'll see in Green Arrow, because we're passionate about the character, we respect the character, and the book itself cannot fetishise the queer elements. 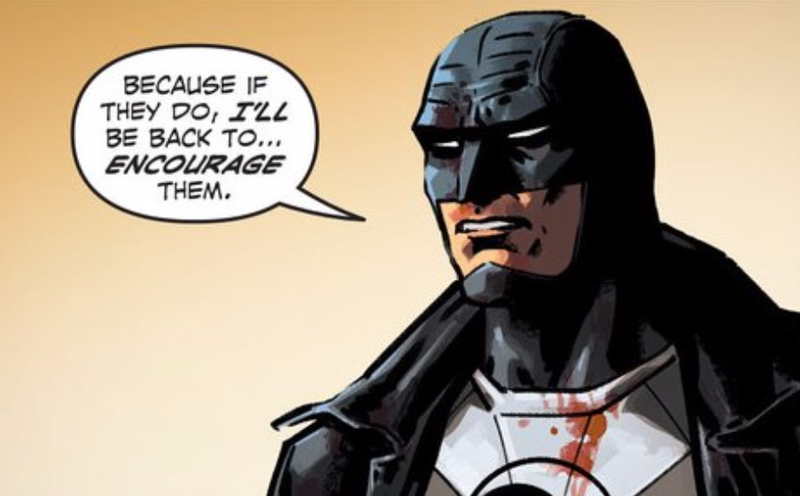 So the emotional stuff in Midnighter, all the things that go on, to me it's all about giving him some portrayal that sits right next the other heroes of the DC Universe, because that's what it demands. And that's what fiction to me deserves, you know? From the moment where I've had him go on a break with Apollo, it as all about giving them, in my mind... I know this sounds weird, maybe, but not a storybook romance, but a real one? In real life, relationships are work. And in real life, sometimes things don't immediately work out. Their break-up was based on people who I grew up next to, who were like high school sweethearts and they were together for like year-to-year, and they weren't, you know — they loved each other, but, they needed to know. They have never been with anyone else. They went to university, and they lived together for a little while, and after going out there, they realised, "This is the one for me, there's no question now, I know. I've seen the rest of the world and you're still the best of the world." And that's Apollo and Midnighter to me. To struggle with things that actual queer couples go through. I know a bunch of people who probably think that the first one is the one — and sometimes it works out, and sometimes it doesn't work out. And people who want to find themselves and not be defined by their relationship. Now [Midnighter and Apollo are] both individuals, they're both taking that road, and they're finding they're much stronger for it. That's the way I write the character. Someone who — and I never thought he was a cold character — likes to be intimidating, and he likes to be frightening and sarcastic, to me, it's work, you know? Because the minute he's with children, the minute there's someone who isn't supposed to be the victim of his frightening demeanour, he's not like that at all. And so I always thought there was something underneath him. And he is that flipping guy who will kill you with his face, but at the same time he's always been tender with Apollo. He's always been kinder with children. He doesn't want them to go through the same things he went through, so, that's the long answer to having that emotional content sort of unfold as a part of him. To be frank, people can be hard and soft at the same time. It's not one or the another. And it doesn't make you any less badarse and it doesn't make you any less masculine. That's a great answer. But you bring up children, and one of the things that people want to see is Jenny Quantum, the character they adopted back in Authority, before the New 52. Do you have anything to speak to, in that regard? The exciting thing for me is that when you have them in 1998 when they came out in Stormwatch, they'd already been together for five years off-page, and that's where they really found each other. I'm living in those moments now and getting wonderful opportunities to show them getting closer. So that said, I'm totally open to it. But just like I think that maybe a straight stunt would have to have that character becoming hitched, you know, or be shot in the head — they have already known each other less than a year, I don't necessarily think they're ready to adopt a child? But — I'm totally open to it in the future and I think it's a great moment and a great decision for them to make, when the time comes. "Well I think that for the first question, why do we never have that [scene], Kitty Pryde pointing at the camera “You’re GAY? 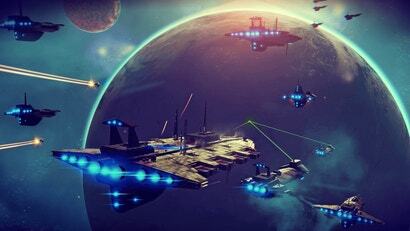 !” type scene, is because we’ve moved past that." Yes, we have. And now where on to the 'If you don't like me being gay, then your not human' part of the ordeal to making things better. When will this ACTUALLY become normal? Because writing articles calming that something is real, based on the simple fact that its a gay relation ship is obscured. How is it any less or more real than a straight relationship in comics? OH, WAIT, Its not, because there both fiction. You know, that thing people make up. Whether he is pulling from his own relationship or not dose not really matter, as I am sure ALL writes do that. How else do you expect them to write them? No, the REAL crime here is that, once again, we have an article proclaiming something is normal, when, by pointing it out, you are DE-normalizing it. Normal means no one cares, and people get on with there life without thinking for 2 seconds whether or not it should happen. It dose not mean we write about it every chance we get to make sure everyone still knows it happens. Like, come on. WE ARE NOT DUMB. Stop treating your readers like mentally challenged people, and write a god dam objectionably and skeptical article for once. 'Oh, but we do that all the time with Star Cit!' And? As a website for journalism, your meant to do it for EVERYTHING. Propaganda is not your job, so stop doing it.